The Chesapeake Bay, the largest estuary in the United States, stretches approximately 200 miles from the Susquehanna River to the Atlantic Ocean. The area of land that drains into the bay, which is known as the Chesapeake Bay Watershed, is 64,000 square miles and encompasses parts of six states: Delaware, Maryland, New York, Pennsylvania, Virginia, and West Virginia, as well as Washington DC. 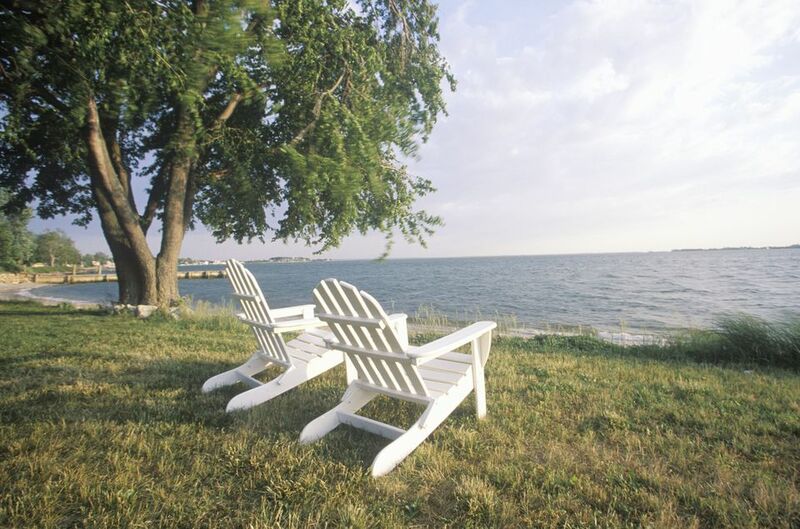 Activities on the Chesapeake Bay such as fishing, crabbing, swimming, boating, kayaking, and sailing are extremely popular and contribute significantly to the tourism economy of Maryland and Virginia. The Chesapeake Bay Bridge crosses the bay in Maryland from Sandy Point (near Annapolis) to Kent Island. The bridge spans 4.3 miles and has a capacity for 1,500 vehicles per lane, per hour. ​The Chesapeake Bay Bridge-Tunnel in Virginia connects Virginia Beach to Cape Charles. It is a four-lane 20-mile-long vehicular toll crossing that provides direct access from Southeastern Virginia to the Delmarva Peninsula. The Bay is 30 miles wide at its widest point and 2.8 miles at its narrowest point. The average depth of the Chesapeake Bay is 46 feet and the maximum depth is 208 feet. There are more than 100,000 streams, creeks, or rivers in the Chesapeake watershed, including 150 major rivers. The Bay watershed provides food, water, and nesting areas to more than 3,600 species of plant and animal life, including about 350 species of fish. The Bay's skipjack fleet was the last commercial fishing fleet to use sail power in North America. The Chesapeake Bay is best known for its seafood production, especially blue crabs, clams, oysters and rockfish (a regional name for striped bass). The Bay is also home to more than 350 species of fish including the Atlantic menhaden and American eel. Bird predators include the American Osprey, Great Blue Heron, the Bald Eagle, and the Peregrine Falcon. Numerous flora also make the Chesapeake Bay their home both on land and underwater. Vegetation that makes its home in the Bay include wild rice, various trees like the red maple and bald cypress, and spartina grass and phragmites. The leading threat to the health of the Chesapeake Bay is excess nitrogen and phosphorus pollution from agriculture, sewage treatment plants, runoff from urban and suburban areas, and air pollution from automobiles, factories, and power plants. Efforts to restore or maintain the current water quality of the Bay have had mixed results. Solutions to include upgrading sewage treatment plants, using nitrogen removal technologies on septic systems, and decreasing fertilizer applications to lawns. The Chesapeake Bay Foundation is a privately funded, non-profit organization dedicated to protecting and restoring the Chesapeake Bay.